Just because you’re broke doesn’t mean you can’t be luxurious. Case in point: Broke Girl Oreo Truffles. These Oreo cookie truffles have only 4 ingredients, and they’re all cheap cheap cheap. All you need is a box of oreos, some cream cheese, a little coconut oil, and 1 cup of chocolate chips. Et voila, you can be fabulous. I used to make these truffles in college when I couldn’t afford to buy high-quality chocolate, but still wanted something special. My friends went crazy for them, and I felt like a regular Martha Stewart. I garnished these babes with rose hips, which you can get in the Whole Foods bulk section for literally $0.50 because they basically weigh nothing. 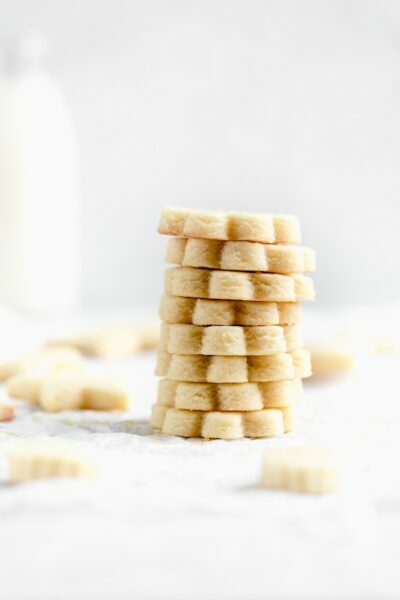 But you can also garnish them with just Oreo crumbles, or nothing at all. These also hold up well in the fridge as long as you keep them in an air-tight container. Which means you can ration them for weeks. Heheh. Make the Oreo truffle filling — Throw the Oreos (cream and all) into a food processor and pulse until the cookies resemble a fine powder. Add the softened cream cheese and a pinch of salt and pulse until the mixture comes together. 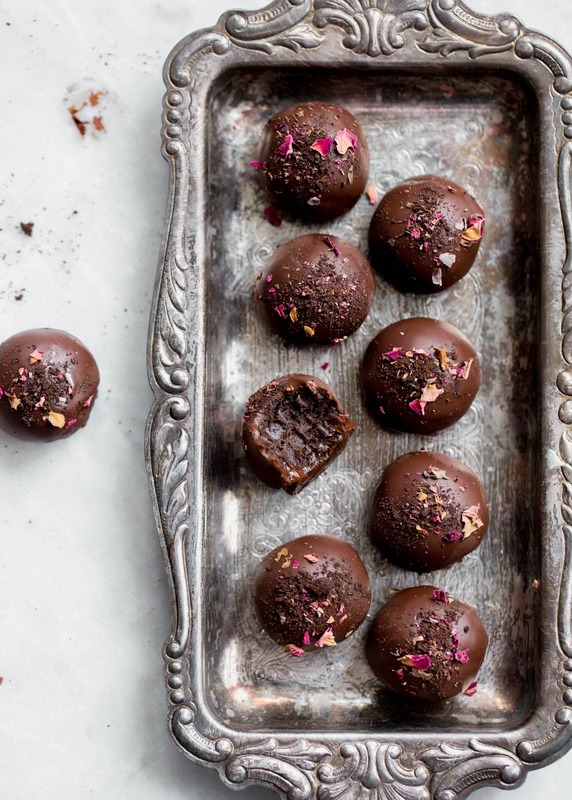 Roll and chill the truffles — Using a tablespoon, scoop and roll out the Oreo cookie truffles and place them onto a parchment paper-lined baking tray. Once you’ve rolled all the truffles, refrigerate the tray for 30 minutes to set them. Make the chocolate coating — Near the end of the chill time, microwave the dark chocolate chips and a little coconut oil until fully melted (the coconut oil prevents the chocolate coating from becoming too hard). Dip and decorate the truffles — Using a fork, dunk the Oreo truffles one by one into the chocolate coating. Shake off the excess chocolate and then place the truffles back onto the baking tray. 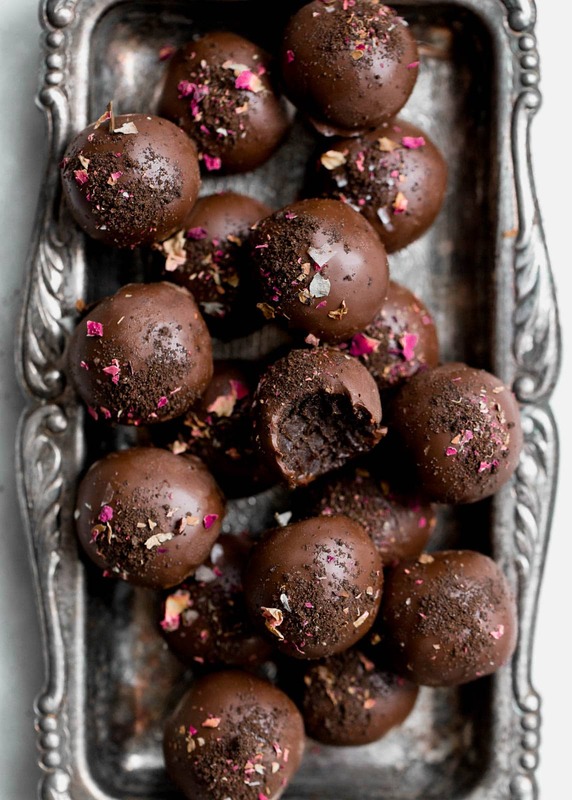 Sprinkle the truffles with rose hips and Oreo cookie crumbles while the chocolate is still wet. Pop the tray back into the fridge to set the chocolate coating, and then enjoy! 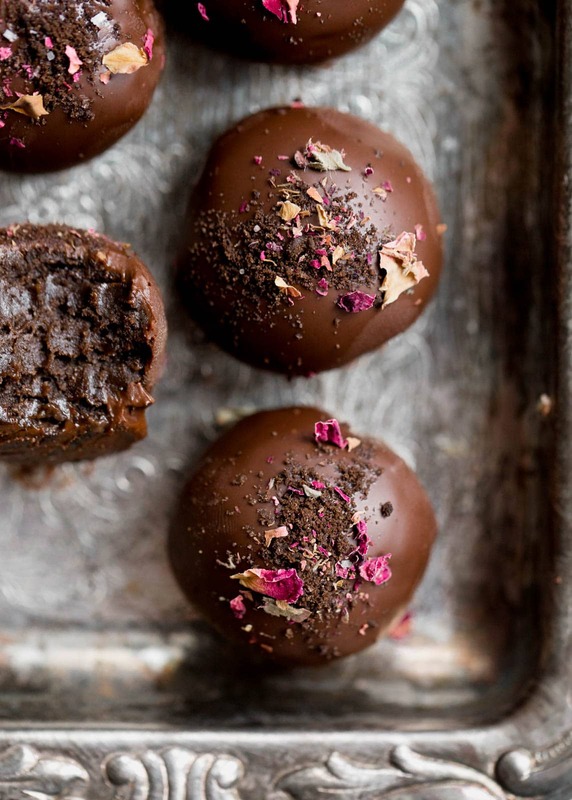 These Oreo truffles make for a fabulous edible gift. Whether you’re gifting these to your S/O for Valentine’s Day, you mom for Christmas, or your BFF for her birthday, these truffles are always a good idea! To wrap these truffles, I suggest buying a package of cute cellophane baggies from the store (grocery stores usually sell these around the holidays, and places like Target should carry them year-round). Pop a few truffles into the baggie and tie it shut with a piece of ribbon. If the person you’re gifting these to is the DIY type, you could make a little note that says something like, “This coupon can be redeemed for one Oreo Truffle making session.” That way you’re giving a physical gift, plus the gift of an afternoon with you! I’m off to Chicago for the week to visit my bestie Ambitious Kitchen. We have a pretty full itinerary, but if you guys have recommendations for places we need to eat at, let me know in the comments below! Love you all and hope you have a fantastic rest of your week! In a food processor, pulse oreos until they resemble a fine powder. Add in cream cheese and salt and pulse until mixture is homogenous. 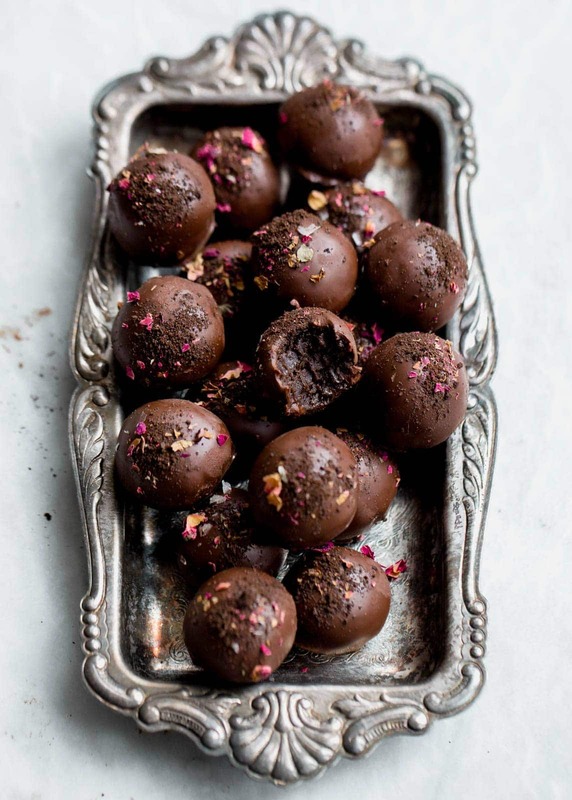 Scoop rounded tablespoons of truffle into your hand and roll into a ball. 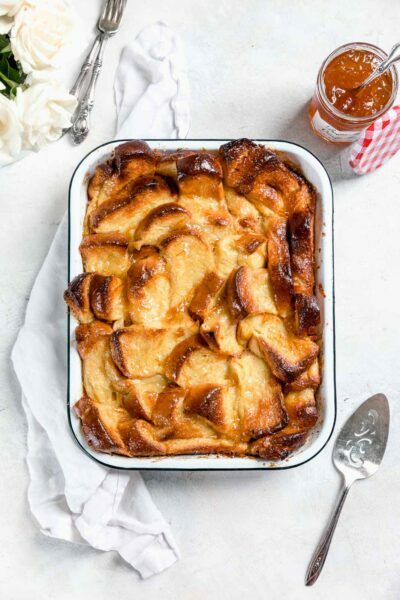 Place on a parchment-lined baking sheet and refrigerate for at least 30 minutes. In a microwave-save bowl, melt chocolate chips and coconut oil in the microwave in 20 second increments until melted. Use a large fork like a spatula to scoop each truffle and dip into the melted chocolate. Tap the fork gently against the side of the bowl so that any extra chocolate drips back into the bowl. Place each truffle back on the parchment-lined baking sheet. 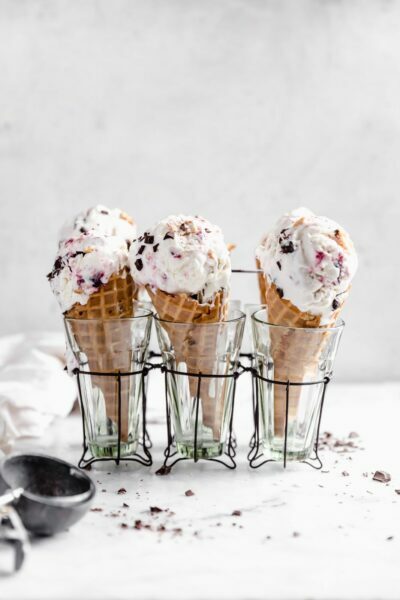 Sprinkle with dried rose hips and more oreo crumbles. Place back in fridge until fully hardened, about 30 minutes. 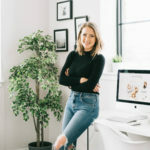 These look and sound Awesome Sarah! I always love your genius ideas! Have fun in Chicago. Not sure what rose hips are, where I can find them. How much do they add to the taste? Can I omit? Made truffles 4 the first time last week. Theyre easy but impress folks! they’re used as a tea. You don’t have to garnish with them, as they don’t add a ton of flavor. Sometimes I use freeze dried raspberry and pulverize it to a powder…you can find them at target or natural foods stores. You can totally omit! They don’t add flavor, just pizazz! Wow Sarah! These beauties would definitely make me feel like royalty as I popped truffle after truffle into my glutinous mouth. loving the bright pop of pink against these dark & regal treats. Oh you get me. You really get me. I can see why your friends would go crazy for these- that combination sounds deadly! Love these! Right? Wish I could send you some! tHANK YOU sARAH. mY GRANDSON CAN’T EAT EGGS SO HE IS DEFINITELY LOOKING FORWARD TO THIS DELICIOUS LOOKING TREAT! Oh perfect! Hope he enjoys them Ann! these are FABULOUS! looooove the rose hips – they make them look so fancy & feminine! Right? So glad you agree! Thanks Jess! I love the rose hips against the darkness of the chocolate. They make them look so fancy! Awesome idea Sarah! Right? It adds that pizazz. Thanks so much Lindsay! Yay! you’re in my city! I would say it’s the best food city in the country, but considering you live in Nyc, you may disagree. i’m sure monique will hook you up with some awesome eats! i’m a huge fan of CRAFT pizza in wicker park, and Bullhead cantina in Humboldt park. west town bakery is great for brunch and giant delicious pastries! Have fun! Oh girl I haven’t lived in NYC in a few years! But I would LOVE to go back. Chicago is so fantastic, though. I’ve heard great things about GRAFT, and just looked up Bullhead and it sounds awesome! Thanks for the suggestions lady!! Love it so much ! thank you ! Oreo cookies: with or without the cream between the 2 biscuits? I am all out of coconut oil, is there something else I could substitute? Hi Robyn! Yes, you can sub heavy cream or shortening! (1) AU CHEVAL- GET THE FRIED BOLOGNA SANDWICH (PERHAPS SPLIT AS APPETIZER?!) IN ADDITION TO THE BURGER!!! (2) PEQUOD’S PIZZA! BEST DEEP DISH IN TOWN!!! You so got me! These look super super fancy and like they require a million different steps and tempered chocolate and seven ganaches, but they’re made with oreos and cream cheese- love it! Hello! I NEED SOME HELP. should I put a whole oreo cookie? or is it just the cookie with no cream? It’s the entire cookie, cream included! WHOA, THESE ARE stunning. They look way more luxurious than the oreo and cream cheese ingredients suggest! The rose hips really take them to the next level. How gorgeous are these beauties! And no tempered chocolate to deal with is a huge plus! I’d rather be rich in delicious than in money. Ha! Love this clever spin. Hi! Is it 6oz cream cheese by weight or volume? 6oz by weight. Typically people only say ounce by volume in liquid form! 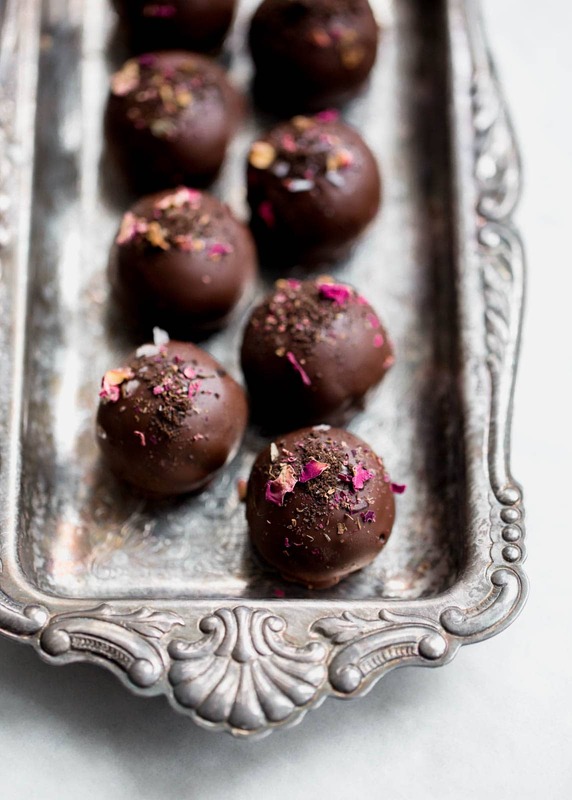 Love easy truffles like this! I’d be popping these left and right Sarah! I just got a package of rose hips with no clue what to do with them. PROBLEM SOLVED! freaking beautiful! and love the rose hips! Love and easy truffle! These sound great! Chicago! One of my favorite cities! The purple pig is a must!!! Enjoy! The Green Zebra is the best restaurant in Chicago! I’m making the batter set to 50 truffles and the batter is very wet…too wet to shape…how do I make it thicker? add more oreos! or place in fridge for a bit. I’m very late to the game on this one, but if I wanted to ship these would they hold up? Because they have cream cheese in them, I would advise against it!